On May 20th Venezuelans will exert their right to elect their president and other local officials. 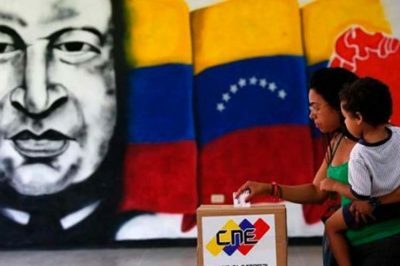 It will be the 25th time that election of any type, and the fifth presidential election to take place since 1999 when Hugo Chavez was elected president. Venezuelans take great pride in this fact in a region that has seen far too many coups, military and otherwise. However, there is a persistent campaign, endorsed by the US and Canadian governments, that this election will be a fraud. They will not give any proof for their assertion. On the other hand I decided to learn more about the Venezuelan electoral system to see if such a deception is even possible. For that purpose I interviewed Wilfredo Perez Bianco who is Consul General of the Bolivarian Republic of Venezuela in Vancouver, BC. What follows is my report from our conversation. The first thing that Mr. Perez pointed out was that in order to understand the process that guarantees the right of Venezuelans to fairly elect their representatives, two articles of the Venezuelan constitution have to be kept in mind. It is significant to note that both State and society have a role in this process. “Its governing body is the National Electoral Council (CNE for its name in Spanish), responsible for the transparency of electoral and referendum processes that guarantee to all Venezuelans, the efficient organization of all electoral events that take place in the country,” stated Mr. Perez. “It is their responsibility to regulate, direct and supervise the activities of their subordinate bodies, as well as guarantee compliance with the constitutional principles attributed to the Electoral Power,” he continued. This technological platform allows the use of a conventional voting (electronic) ballot where the voters press the name, face or party affiliation of the candidate for the election office. This method of voting was further strengthened with the use of the Integral Authentication System (SAI), the last phase of automation, which allows the voter to activate the machine with his fingerprint. Once the fingerprint of the voter is authenticated, the machine is activated so that the voter can vote directly on the machine’s screen or on the electronic ballot. The selected option appears on the screen and the voter has the possibility to confirm his vote by pressing the VOTE option. Processes following the election in the presence of representatives of the parties. In the upcoming elections of May 20 fifteen audits will be conducted in the different areas involved in the process of the Presidential Elections and Legislative Councils, and will comply with the standards used in the 2012 presidential and parliamentary elections of 2015 to guarantee transparency in the exercise of the vote. Nino Pagliccia is a frequent contributor to Global Research.